Whether you're a hospitality professional seeking new career challenges or an employer with casual or full time staffing vacancies to fill, Alseasons Hospitality Staff Agency can help. Alseasons' unmatched 35 years experience, impeccable reputation and industry-wide contacts all add up to the highest service standards in the Australian hospitality staffing industry. Employers looking for the right employee, whether it's a chef, a waiter or waitress for a day, a bartender, catering assistant or kitchen porter for single shift for a week or longer, or an executive chef or operations manager for a permanent position, Alseasons is Sydney's only one-stop hospitality people solution. Australian Consulting & Training Solutions Pty Ltd T/A Academy Hospitality Australia (The Academy) is a consultancy created by Justin McGurgan and Ian Griffin to provide specialist, training services to the licensed venue industry. 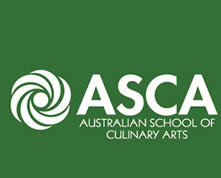 The Academy has been created to provide a Registered Training (RTO) Organisation National Provider No #31709 that intimately understands the liquor and gaming regulations, and provides trainers and training opportunities that deliver outcomes that satisfy the needs of venue operators, the Queensland Office of Liquor and Gaming Regulation, and other government regulators. The Academy is firmly committed to providing venues with a designed program that provides an innovative, customised and cost effective training experience to provide individuals with the required knowledge and skills to enable them to make informed decisions, and create practical solutions in the workplace. The Academy has a team of professionals dedicated to the development of effective and profitable solutions for the hospitality, tourism and retail industries. The team has a commitment to outstanding service to every client ensuring responsiveness, accessibility, involvement and accountability. This is our commitment to you. We welcome the chance to discuss your venue's needs at the earliest opportunity. Goodtaste Training and Education is a Nationally Registered Training Organisation with a wide range of short and long-term training courses in Hospitality, Training and Assessment, Business, Frontline Management, Retail and Tourism. We also provide service-based business consulting with a focus on increasing profits, providing quality training, ensuring product consistency and improving service quality. 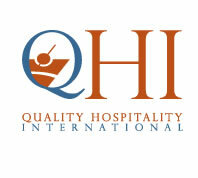 QHI is a Registered Training Organisation. We specialise in hospitality short courses delivering online, correspondence and classroom training. Quality Hospitality International focus on delivering short courses online and so far have over 25,000 satisfied customers. Cookery qualifications open many doors, each one leading to an exciting and secure future. The global hospitality industry presents a huge array of career opportunities at hotels, resorts, restaurants, hospitals, theme parks, sports grounds and more. While people continue to travel for business and pleasure and enjoy food and drink there will always be great opportunities for qualified chefs. The challenge of achieving your chef qualification requires commitment and dedication, passion and flare. You will need to pursue technical excellence and a desire to continue learning. The apprentice chef and indeed the executive chef are both at their best only while they continue to improve their skills and expand their knowledge. CFT International Pty. Ltd. (formerly The Clean Food Training Company) was established in 1999 to support businesses involved in the production and service of food to comply with National Food Safety Standards. • Food Safety Level 2 is for people who will be the Food Safety Supervisor and who have already completed Food Safety Level 1. The Responsible Service of Alcohol (RSA Training) unit aims to provide liquor service staff with the knowledge and awareness necessary to responsibly serve alcohol in licensed premises. 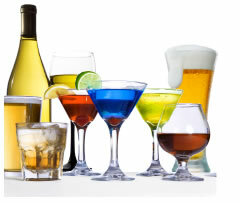 - Who is responsible for the serving of alcohol? We can deliver training online, by correspondence, in class on-site at your venue, or through any number of public access classes delivered in your local community. We also provide workplace assessments, as industry demands. 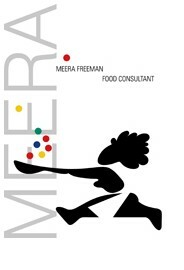 Meera Freeman is the owner/operator of the and gives regular courses in North African, Italian,Thai and Vietnamese cuisines. She has been designing and leading tours to Morocco since 2001. In addition to her accompanied tours of Morocco, she has been involved in setting up the Moroccan Flavours seminars in Marrakech and has collaborated in other food related projects in Morocco. For over 20 years, Meera has run one of the most successful cooking schools in Melbourne and has personally taught all courses offered in her purpose built city studio to thousands of students..
She has held regular 4 week courses in Italian, Moroccan, Thai and Vietnamese cuisines. COVE Training is a nationally accredited Registered Training Organisation. We take great pride in delivering the highest standard of training to the best of our abilities, in order to give our clients the highest level of knowledge and skill in the field that they wish to pursue, in the most flexible and cost effective way that we can possibly offer. The Italian Home Cooking School will show you how you can create authentic Italian cuisine with fresh seasonal produce to delight your family and friends. Each class is made up of 3 courses prepared with a hands on approach in a friendly social atmosphere in groups of no larger than eight students. 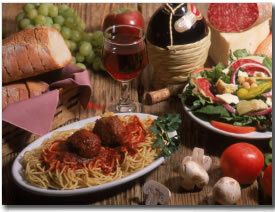 You will learn the art of Italian Hospitality and you will enjoy a 3 course meal in a leisurely fashion with a glass of wine and a traditional espresso to end the meal. 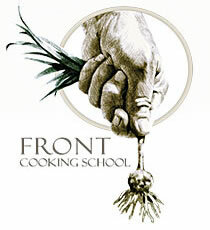 Front Cooking School offers a range of gourmet cooking classes and private lessons for all occasions including: demonstrations, dates, kids lessons, birthday parties, special events, corporate team days and much more. Corporate, team building and self-confidence events. Birthday parties and special events cooking classes. Experience the Italian lifestyle and cuisine through one Pomodoro’s cooking classes. Based in Melbourne, the Pomodoro Italian cooking classes teach the techniques of home-style, Italian cooking in a friendly and relaxed atmosphere. Your teachers grew up in migrant households where cooking and eating Italian food was a ritual, a way for the family to bond and share the stories of the day. This is where they were taught the basics of their culinary background and their passion for cooking great Italian meals. 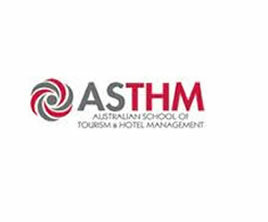 Welcome to the Australian School of Tourism & Hotel Management (ASTHM). For 21 years we have taken our students closer to being leaders in the tourism, hospitality, and event industries. Delivering high quality diploma courses in hospitality, events and tourism in Perth, Western Australia. The level of training we offer is exceptional and we are one of Australia's most awarded hospitality schools. Our students are closer to the energy of Perth's big hotels, events companies, and tourism enterprises. Out focus on practical training takes you closer to the real world experience you need to achieve the transition from student to an employee and future industry teacher. Ma Indian Cooking courses represent a passion for cooking and compassion for life. They are designed to equip you with the skills to create vegetarian and vegan Indian cuisine that is delicious, wholesome, and fresh. We demystify the complexities of spices and ingredients, making Indian cooking simple yet absolutely delicious. Our classes provide practical hands-on cookery balanced with an insightful understanding of the benefits of Indian cuisine and its relationship to good health. We provide a spice starter kit with the Traditional Home-style Indian class & the Vegan Workshop and all classes include a full recipe folder. At the end of each class, relax as you enjoy a scrumptious feast, leaving both your palate and appetite immensely satisfied.